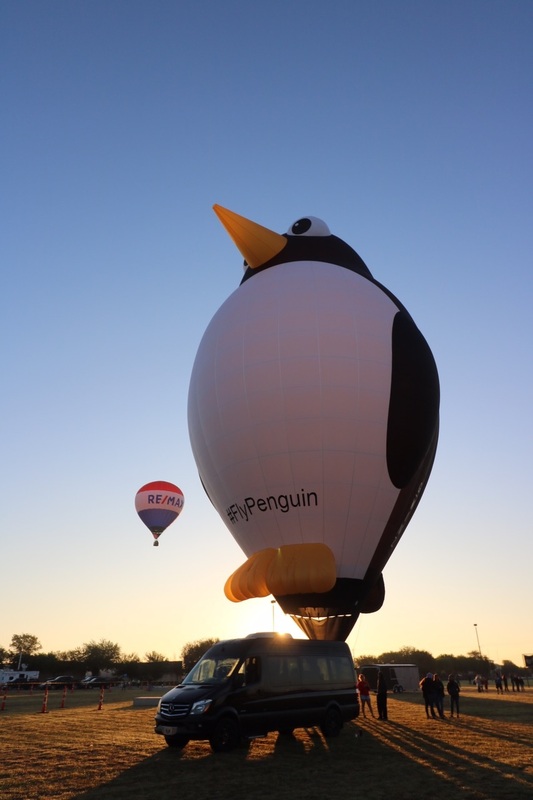 This is the first time any of our penguins have attended this family friendly event and it was the first time that the whole family has flown together at an event in Texas. Exclusive Ballooning Director Andrew Holly was flying #TallSteve at the Balloon Fest and is the first international pilot to have ever attended the event. The weather allowed for a fantastic weekend with all scheduled flights going ahead and two successful night glows. Puddles, Splash and Tall Steve were certainly popular with the crowds and pictures were soon appearing all over social media! This is the last event of the month long American adventure for the penguin family and they will now make their way home to the UK.